Much has been made about the trendy “paleo diet,” which purports to favor foods eaten by humans during the Paleolithic Era. But new research is showing that we might not know as much about the diets of our Paleolithic ancestors as we once thought. A recent study led by Marta Mariotti Lippi from the University of Florence and published in the Proceedings of the National Academy of Science analyzed residues on a grinding tool recovered from Grotta Paglicci (Paglicci Cave) in Southern Italy. What her team found by looking at this 32,000-year-old relic was that not only were these ancient people eating grains, but they had already established a rather extensive system for preparing grains—particularly oats, which were the grains found on the mill. 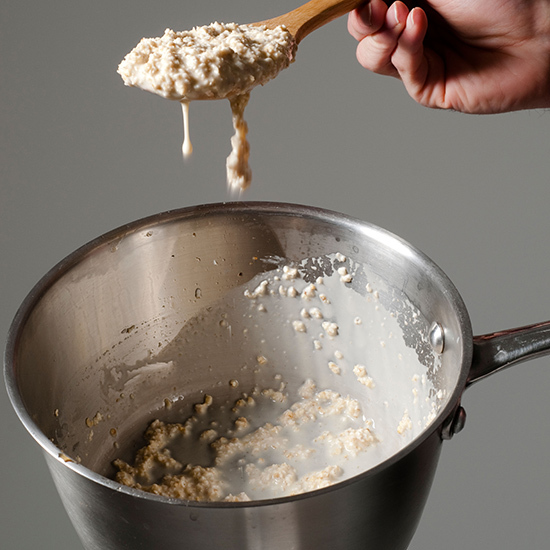 Beyond simply grinding oats to make flour, evidence suggests that these prehistoric Italians heated up their oats beforehand, which indicates a multi-step process that could have been used to make foods like porridge or even a simple flatbread. It’s almost as shocking as going to South Beach and discovering that not everyone there follows the South Beach Diet.